Over the years I have now written more than 30 books and a selection of them is shown below. 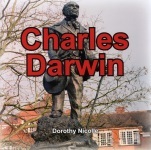 Books about Shropshire - these include the many books with old photographs from the Francis Frith Collection and comparative old and modern photographs such as in Ludlow Through Time. Shropshire's Oddities has proved to be one of my bestsellers whilst Discovering Shropshire Towns gives guided tours for 16 towns around the county. My most recent Shropshire books are Bloody British History - Shrewsbury and Shrewsbury in the Great War, this latter involving the headache-inducing task of reading through all the microfiche copies of the local newspapers of the time! General history books - All About Pub Signs and All About Christmas were the result of the many talks I have given on these two subjects over the years. Both books are lavishly illustrated, the pub signs book having over 750 colour photographs of signs from all over England. Books for children - these books are aimed at children of around seven years of age. 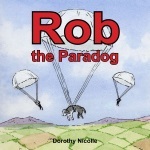 Rob the Paradog tells the story of a dog that served with the SAS during the Second World War. 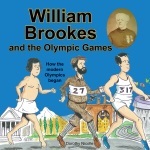 Charles Darwin, of course, is well known but his contemporary, William Brooks is almost forgotten - it was he who really founded the modern Olympic games. Eglantine Jebb, the founder of the Save the Children Fund also came from Shropshire.